Independence Day is the American national holiday every July 4th. It commemorates the adoption of the Declaration of Independence in 1776. 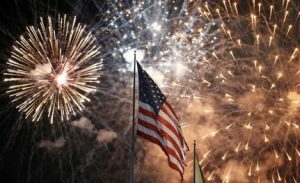 The rest of the world wants a slice of this American pie too, so every year on this day, events and activities are organised with the aim of celebrating American style.